When taking a Vegas pub crawl through downtown, you probably aren’t thinking about the history of the alcohol you’re enjoying. In fact, even if you’ve thought about it, all facts about the drinks lose importance as soon as you start feeling their effects. But alcohol has some fascinating origins that date as far back as 7000 B.C. Learn all about the history of alcohol. Robert Dudley from the University of California, Berkley was the first to suggest the Drunken Monkey Hypothesis. An overview of the hypothesis is that many thousands of years ago, monkeys began eating over-ripe fruit that had fallen to the ground. For many reasons, the more ripe to rotten fruits were better for the animals than the fruit in the trees. First, getting to fruit on the ground is, apparently, more accessible than getting to fruit in trees. Less effort means fewer calories burned which were crucial when survival was based on avoiding starvation. The over-ripe fruit also had a more pronounced smell which made it easier to find. Once found, the fruit on the ground contained more essential calories than the fruit in the trees. It’s unlikely that the monkeys eating ground fruit felt anything more than a happy glow. It was a rather small amount of alcohol they consumed. However, without a gene called ADH4, the alcohol would have caused illness. Scientists believe that a gene mutation in the ADH4 gene created an enzyme that enables monkeys and humans to digest ethanol up to 40 times faster than before. Without the ability to speed up ethanol digestion, we would get very sick after any alcohol consumption. Since the monkeys discovered fermented fruit, humans have—as we tend to do—taken things so much further. On the alcohol timeline, it’s believed that alcoholic beverages were invented independently many times. Babylonians worshipped a wine goddess in 2700 B.C. Sura, an alcoholic beverage made from rice, dates back to 3000–2000 B.C. in India. Nearly every civilization developed a way to ferment the fruit they had available. When no fruit was available, humans evolved a way to brew new types of drink from wheat, rice, and barley. In 400 B.C., brewers went to the lengths of chewing on cassava roots to use their saliva as a converter of starch into fermentable sugar to have alcohol. Central Asians, left without any fruit or grain, fermented horse milk into an alcoholic drink. In this rendition of the history of alcohol, we start with ancient China. This place is believed to be a hub of mass alcohol production, beginning around 7500 B.C. At the time, humans were nomadic hunter-gatherers, migrating across Asia and Africa to Europe. Traces of alcohol can be found along the way, suggesting that even back then, humans carried their trusty flasks. However, those trails are riddled with evidence of settlers and farmers. Their trade? Alcohol production. For thousands of years, humans moved across the continents to find food and comfortable climate, only to find out what we know to be true today: it’s better to stay at home and drink. In doing so, we became excellent farmers. Breweries have been around as long as farming has, but what about bread? Ancient Chinese and Turkish farmers would process fermented wheat and water into beer for hundreds of years, so why not food? Well, it is believed that the first bread product was created from the dried up beer that spilled out of its container and was then baked. Beer pre-dates wine and any other form of alcohol! One of the many farmlands in early Turkey, Göbekli Tepe, provided new insight into the history of alcohol when it was discovered just two decades ago. It was one of the most initial signs of two things: alcohol production and religious ceremonies. The two may come hand in hand, as religion gave purpose to those nomads who decided to settle in as early beer crafters. A leading theory for the beer’s production is that the alcohol was used as a reward. The Göbekli Tepe site includes massive stone structures. It’s believed that settlers were coaxed into helping construct this fantastic place with the promise of alcohol. It turns out; we have to thank new humanity for their unquenchable thirst for alcohol. If it weren’t for fermented wheat, where alcohol comes from, and the human need to drink (considering humans have been drinking since day one), we may not have discovered that you could trade goods for services. Like the example mentioned above of settlers being promised booze for work proves, alcohol invented the universal idea of an economy. The most prominent civilizations on Earth heavily depended on alcohol. In Egypt around 500 B.C., they even had different types of beer from red beer, pale beer, dark beer, etc. Drinking may have been the reason we know about all that today. What we mean by that is that beer was likely the reason writing and culture exists—it’s the beginning of history. The process of distillation and brewing was perfected around the Middle Ages. Since then, we’ve had more concentrated alcohol. Obviously, the higher the concentration of alcohol, the more inebriated we become. That sounds awesome, but it’s important to realize we didn’t cut down. In fact, brewing alcohol was easier, faster, and done in larger facilities, so consumption actually increased. If Game of Thrones got something right about the Dark Ages and the history of alcohol, it’s that drinking was commonplace—beer and mead for commoners and imported Italian reds for wealthy elites. There was no shortage of alcohol due to the high-priority status it had placed on its production. Now, to paraphrase an entire millennium, it was a drunken mess. Within the wooden walls of the ships that first anchored off the Massachusetts shores, there contained “more beer than water.” Even those puritanical pilgrims who claimed America as theirs called booze a gift from God. With that sort of mindset, alcohol turned America into one of the most booze-loving countries on the planet. Alcohol was a global commodity, and everyone on Earth was enjoying one big college party. That isn’t without its major setbacks, of course. 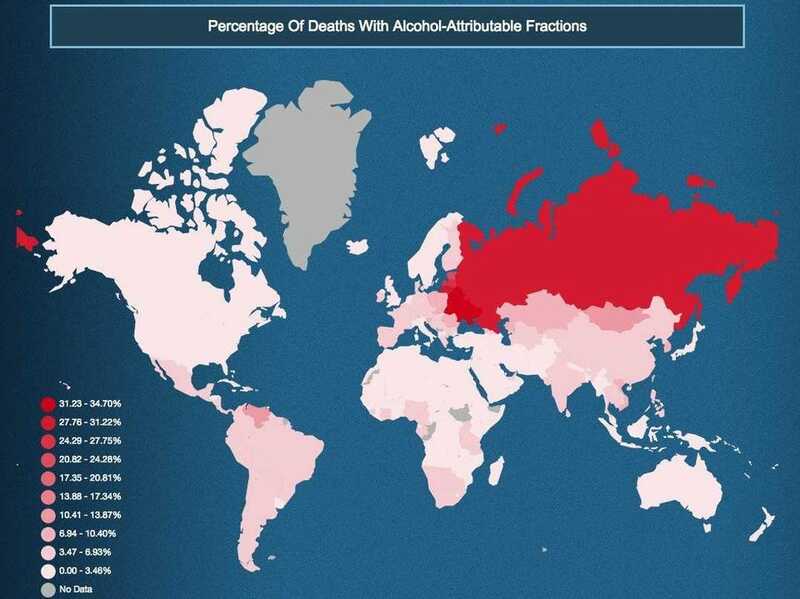 Russia notably suffered heavily from excessive alcohol usage, getting as bad as having a mind-blowing number of alcohol-related deaths. It wasn’t until 1850 that alcohol in America was considered a “moral issue.” Many people fought to have alcohol eliminated completely, but the greater portions of the country were daily drinkers. This was also the time of the Industrial Revolution, a time when our country became a rich and powerful force. This resulted in more jobs and more alcohol. Starting in 1920, the U.S. government banned consumption, production, and sale of alcohol. For the first time in the history of drinking, an entire country was forced to be stone sober. Alcohol had forever been man’s best friend, and people didn’t take too kindly to their booze being taken away from them. Thus, crime went through the roof. The Mafia has been around for a long time, but their crimes were of violence, theft, and gambling. That was until Prohibition. Being opportunists seeing the multi-million dollar potential, the Mafia made bootlegging moonshine and whiskey as their main source of income. Any other home-brewers became competition. Because the law has never kept humankind from drinking. Once The Great Depression rolled around, we were already 10 years into our “sobriety.” However, things weren’t looking good for America. It’s like when you decide to go sober and then things in your life fall apart—you couldn’t have chosen a worse time to stop drinking. That’s how the entire country felt for 13 years. It was 1933 when the American government (and 36 states) felt they’ve had enough of the prohibition and repealed it. There were plenty reasons to repeal the Prohibition. Mainly it was because it was keeping the wealthy rich off alcohol money, and the poor took a harsher blow than usual. Franklin D. Roosevelt was sworn into office with the promise of putting an end to the prohibition. By doing so, putting an end to the darkest time in the history of alcohol. Alcohol. It makes us feel good and, in moderation, is actually quite good for us. It’s influenced artists, workers, and politicians, molding Earth into the industrial and cultured world we live in today. For many working people, alcohol is something you get to reward yourself with at the end of the day. It makes these long work days not so awful. We imagine ourselves at the end of the day cracking open a cold beer, pouring a glass of bourbon, or sipping some wine. All that just to unwind and forget about the stress. And that’s just great! But, why do we “need” it? Robert Dudley states that millions of years ago, we mutated so our brain would reward us when drinking fermented fruit to be more inclined to eat it. You know, for the sake of survival. You knew that already. But now, he says, that “reward” is the likely cause of our compulsive drinking habits. Although a vestigial evolutionary trait, that thing in our brains that makes us dance when we drink plays a big part in regulation. This is especially true in post-prohibition America. Whenever you’re bar hopping or walking the famous Las Vegas Strip, you come across a lot of over-intoxicated people. People are stumbling over themselves, puking in the streets, and getting into fights. It may be you or it may be someone you come across, but that person is always there to balance out the love we give alcohol. 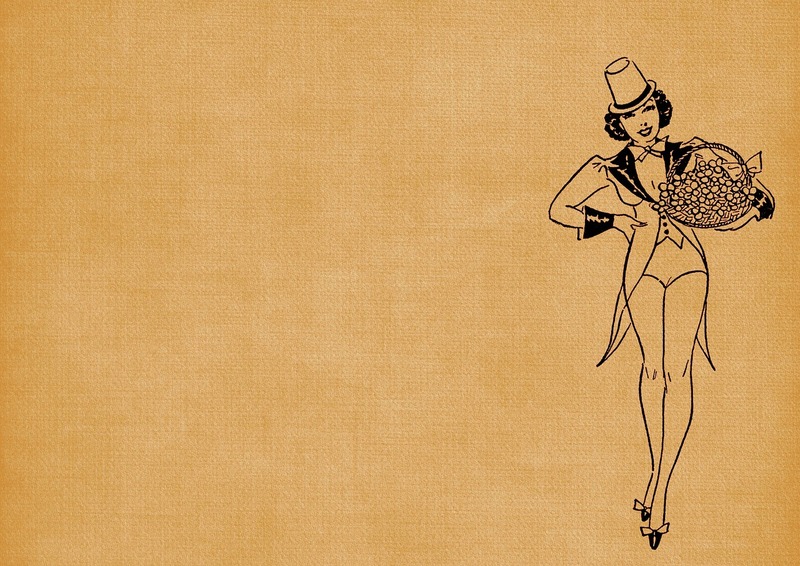 The more we delve into the history of alcohol, the more we realize the need for booze is real. Luckily, in 2018, you don’t have to build a monolith or a pyramid for a cup of mead—you can hop on the Vegas Pub Crawler and let it take you to your favorite Downtown Las Vegas restaurants and bars. Gather your friends and book your ride today and be a part of drunk human history!